2. Tap “Send or Request” icon from the dashboard screen. 4. Enter the mobile number you wish to send SIP to. 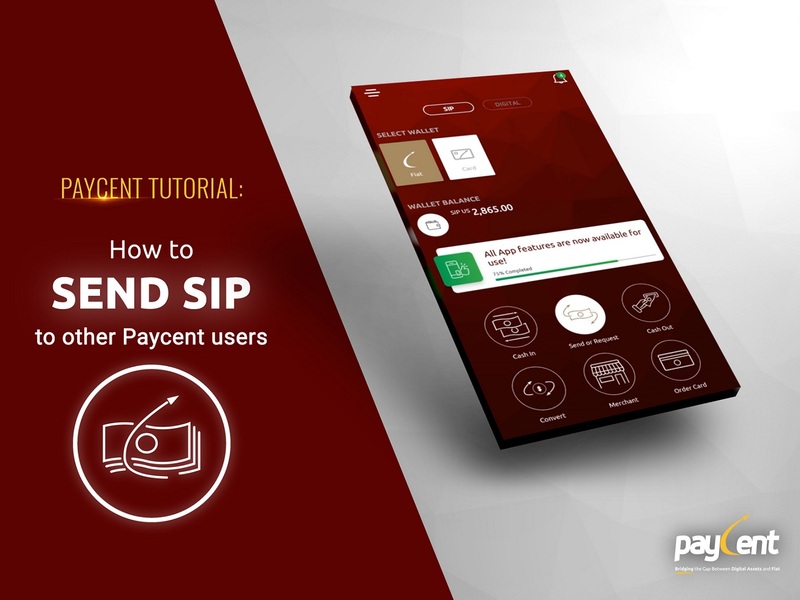 You can also select the mobile number from the Paycent contacts or scan QR code. 5. Enter the amount you wish to send. Make sure you have enough Paycent balance to proceed with this transaction. 6. You may enter a message for the recipient (optional) then tap “Next” button. 7. A summary screen will appear then tap “Send” button to confirm the transaction. 8. Enter your PIN to authorize the transaction then tap “Confirm” button. 9. A reference number will appear upon successful transaction. Tap “Ok” button to go back to the dashboard screen. 10. Your transaction status will show in the transaction history. 11. An email notification will be sent to you indicating the details of your transaction. The recipient will receive an app notification. Start enjoying this feature today!